Have you seen God winning lately? Winning your battles, overcoming all of your obstacles, and making a way when you don't see one? He will pull you through the other side, and never fails. This motivating book is for Christians seeking encouragement and guidance for a new life of trusting God. Jesus really does have the victory over our darkest battles, all we have to do is ask for help. If you are going through hard times. Take the time for this book. It makes you 'remember God loves you and is there for you. Even Christian need a boost now and then, when the storms of life role in . 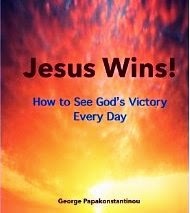 Great book just to keep on your kindle to stop and remind yourself how powerful God is . I know I needed to read this book because of the trails we are going through.